Graceful lines. Stately charm. An elegant solution for a rooftop that stands above the rest. 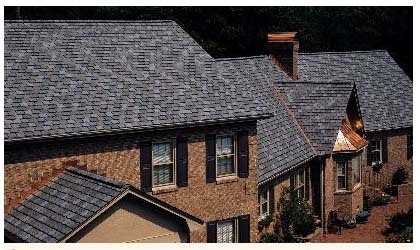 Centennial Slate captures the classic appeal and enduring beauty of natural-cut slate with an engineered luxury shingle developed for todays finest homes. True-toned color, like the stone itself. 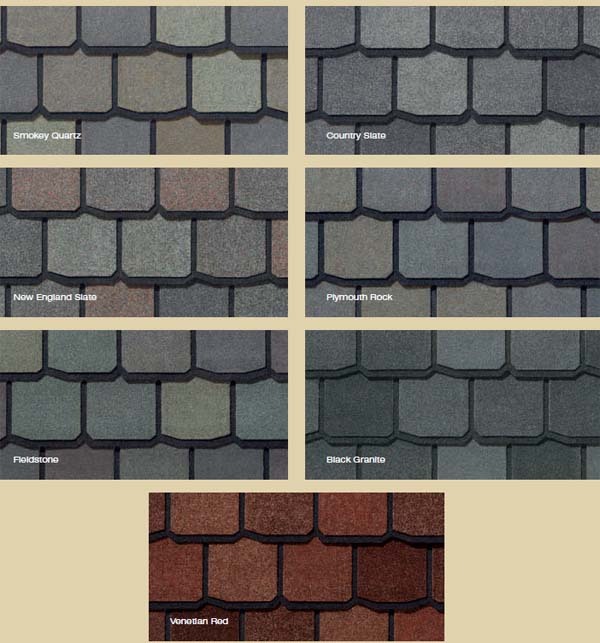 Replicates the stunning color variations of natural slate but at a fraction of the cost.